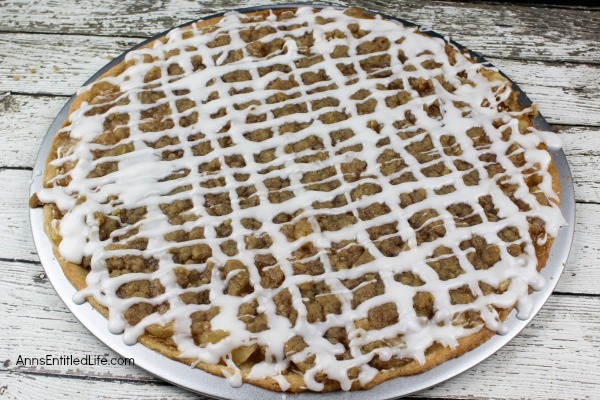 If you love the great taste of apple pie, you will love this easy to make apple pie pizza recipe. 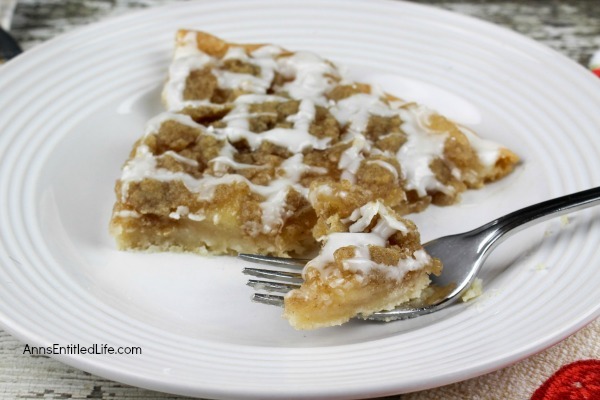 This simple to make dessert pie has an amazing and enticing aroma and truly tastes delicious. 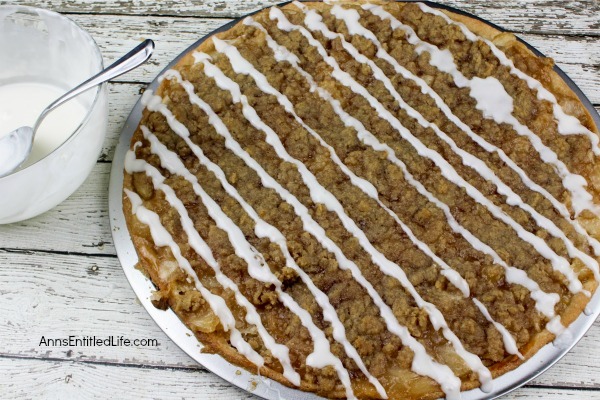 Your whole family will enjoy the great taste of this apple pie pizza. 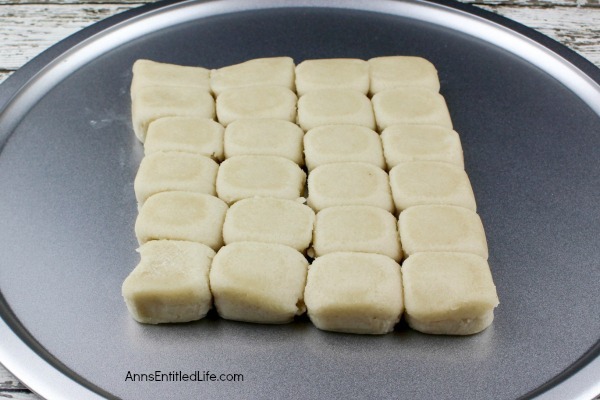 • Allow ready to bake sugar cookie dough to sit at room temperature for 10 minutes. • Place the cookie dough in the middle of a pizza pan. 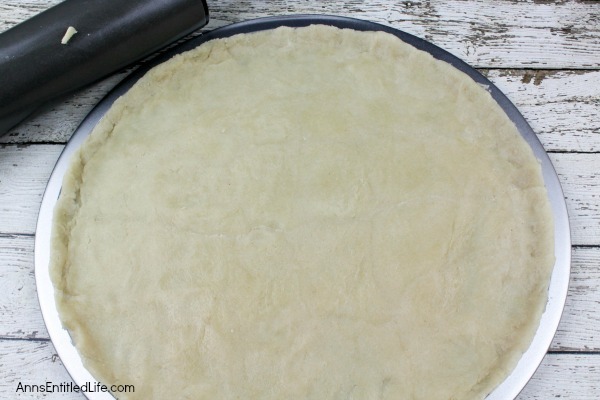 Using a rolling pin, roll the dough out to the edges of the pan forming a pizza crust. 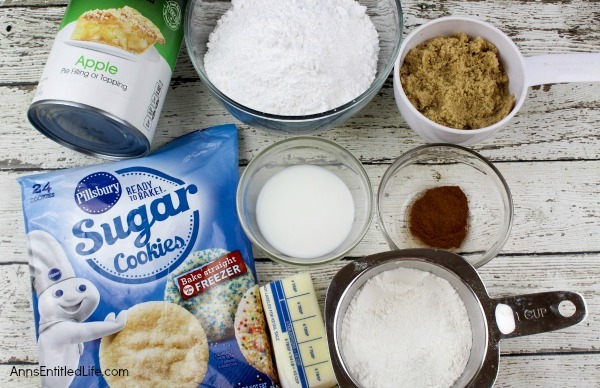 • Partially bake the sugar cookie pizza crust for 8-10 minutes or until the crust is set and firm at the edges. Remove from oven; set aside to cool slightly. • Reduce oven temperature to 325°. • Pour apple pie filling into a medium bowl. Cut the apple chunks into smaller pieces to make it easier to spread evenly on the pizza pan. 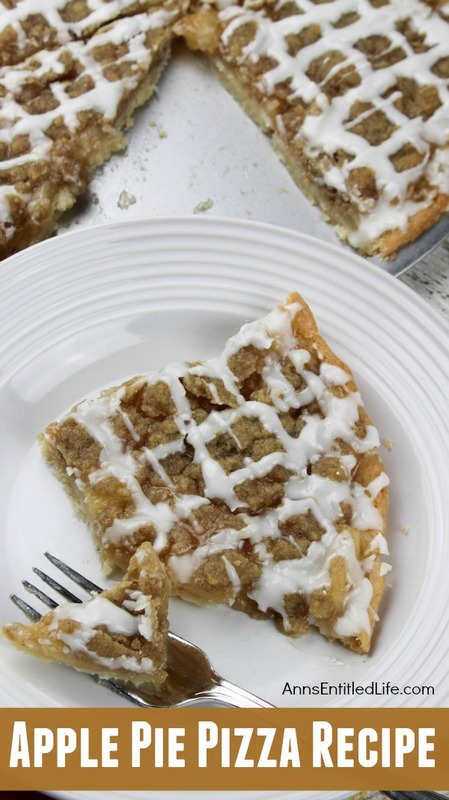 • Using a spatula, spread the apple pie mixture on the sugar cookie pizza crust. 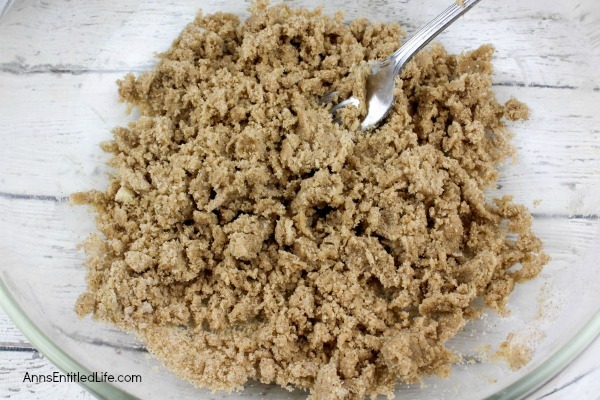 • Combine flour, brown sugar, softened butter and ground cinnamon in a large bowl. Using a fork or pastry cutter, cut into the ingredients until a crumb mixture forms. This is the streusel topping. 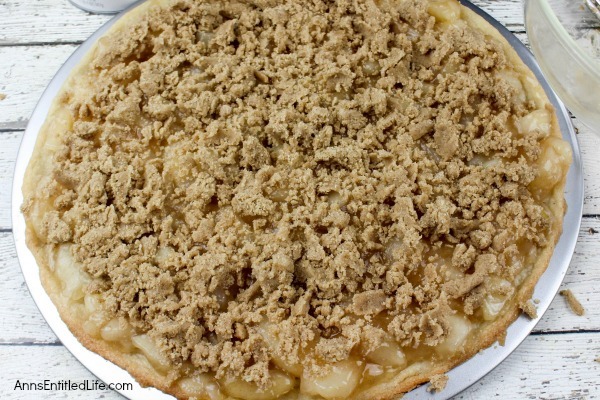 • Generously sprinkle the streusel crumb crumbs on top of the apples that are spread in the pizza pan. • Bake at 325° for 10-12 minutes or until the apple mixture starts bubbling. • Remove from oven and set aside to cool slightly while making glaze. 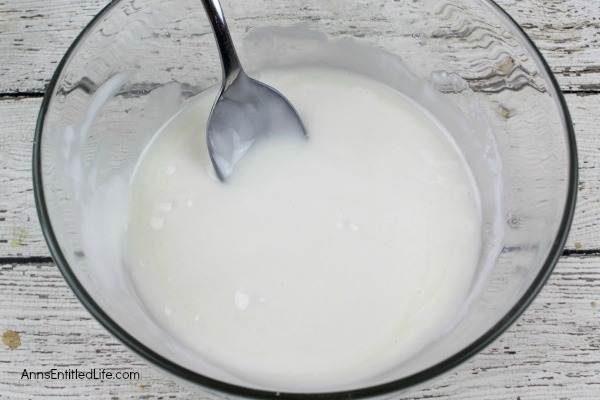 • Combine powdered sugar and milk in a mixing bowl and stir until a thick glaze forms. 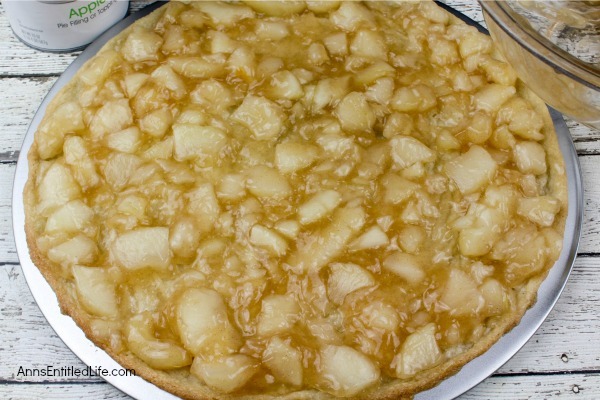 • Using a spoon, drizzle the glaze on top of the warm apple pie pizza. It’s apple season and that means fantastic apple desserts! 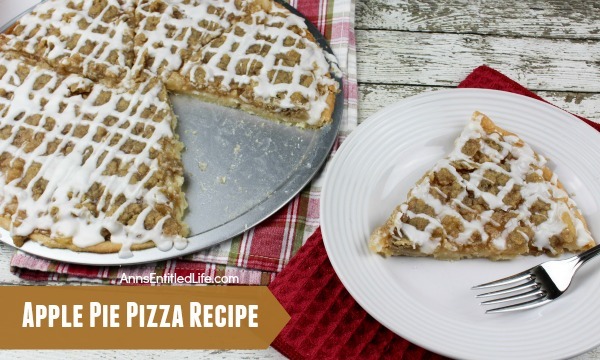 If you love apples, you and your kids (oh especially your kids) will love the great taste of this wonderful Apple Pie Pizza! Serve warm for best taste. This can be enjoyed for dessert, breakfast (!) or snack. 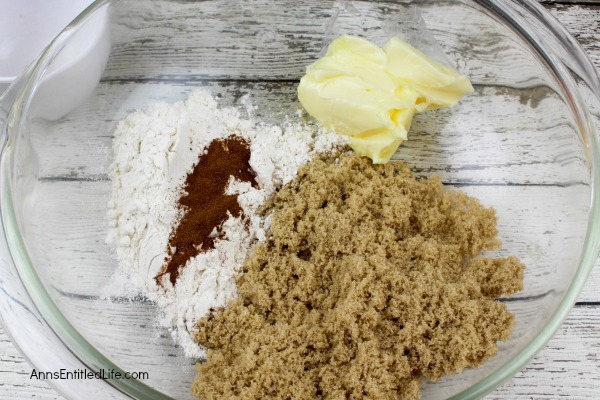 If you love apples as much as I do, you might enjoy some of these other amazing apple recipes such as Apple Brown Betty recipe (this was my favorite growing up!) or an easy to make Apple Cinnamon Waffles Recipe. Yum! 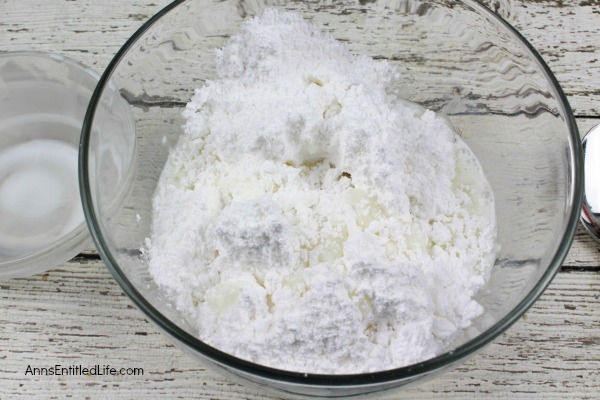 • Combine powdered sugar and milk in a mixing bowl. • Stir until a thick glaze forms. 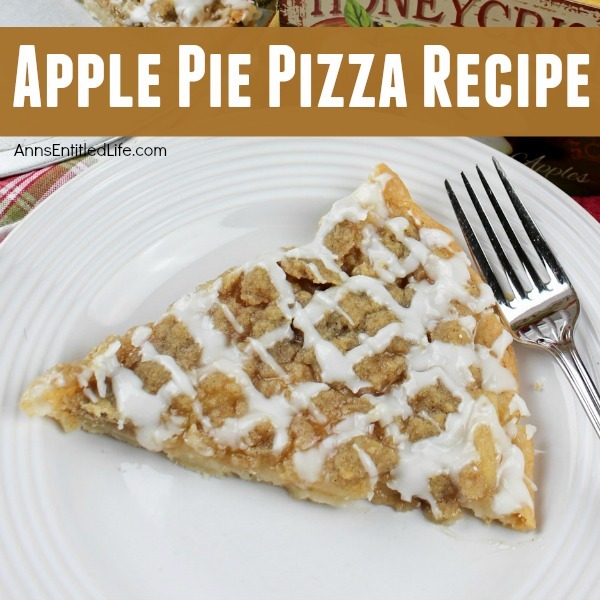 • To print the Apple Pie Pizza recipe, click here. This looks like it would be a really yummy dessert!